The decision to cut my hair was agonising. Racked with nerves, I asked every question under the sun: What will my face look like without long, flowing hair and my trademark Afros? I happen to have a thing for Afros though it was all extensions/weaves. On the other hand, my natural hair, fried by relaxer to the core had taken a few good years to nurture and believe me, the length was fine. Will I end up with a masculine look? What will people say? It was mental torture trying to visualise the outcome. Was I about to make one hell of a mistake? Well, my mum thought so because she was not having it and it took three months if not more to convince her, this was the right thing to do. At first, I was of the opinion that I was a grown lady, independent and doing my thing but looking back, it was a good idea to ask for her opinion. I have not always been close to my mum…that daughter and mother stage where, you are both aliens to each other but my mum was there, over a decade ago, when my hair fell out. Every strand just dropped one morning after I had been diagnosed with End Stage Renal failure (ESRF.) Back then, I had to cut the hair and believe me, it was not a pretty move because from afar you could tell, ‘something wrong with the chil’. Today, I’m in a better place. However, when you are heavily dependent on immunosuppressants, they can decide what you can and cannot do and when they are ready, they will have fun with you on their terms and at your expense. About two/three years ago, my scalp went dry and nothing I used was helping. Not even the recommended shampoos from the doctor. Using relaxer made things worse, so did the weaves/extensions. My only option was wrapping my hair whenever I went out. I do love my headwraps and that was not a problem. However, I needed to do something about the fact that I could not scratch my scalp when it was itchy. The anti-itch hair cream was not doing jack and whenever I decided to dig my fingers in, the end result was bleeding scalp and the hair on the spot would literally come off. Let’s just say I had deep forestation of dry scalp, simply covered by fake luscious hair. Wearing black was a bad idea because the ‘special cornflakes’ on my head would start dropping like snow on my clothes and that was not funny. It turns out I had a scalp infection. What? Me? How? Is that possible? After the shock, it was time to take action but how do you fight something that is covered with thick hair? The first thing I was asked to do…was to stop eating bread and anything with yeast. I failed at that effort and it was a miserable failure. I managed it later on but lately, I have faltered a number of times. Naughty Belinda! Without a doubt, the hair needed to come off, so I could get to my scalp, wash it and start using some serious moisturisers. What a joke, even Dr Miracle could not help me. The power of medication I guess! Having toyed with the idea for a few months, I asked a few people for their opinion…one or two were nervous but some of them were up for it and became champions of the cause. I remember going to the barbers and being embarrassed about the white layers of dry scalp on my head but a girl has got to do what a girl has got to do. By June 2010, I was ready. I cut my hair for three reasons; medical, financial and I needed a change. In a way, it was also about reinventing myself after a bad patch on a personal level. On the day of reckoning, the guy who cut my hair was very nice. He asked me a few times if I was sure I wanted to cut my hair and why did I want to take such drastic action because my hair is full and long? I told him, I needed to cut the hair for my own sanity. He laughed and said, ‘don’t start crying when I put the scissors in and you are a very brave lady cutting your hair.’ I thought to myself, thanks for the compliments but this is not about being brave. I need to cut this hair and I need to cut it now. Let’s just say, when he started cutting and saw the layers of white cornflakes, ‘brother knew for sure that sister needed to cut her hair.’ He gave me some tips on what to do and how to relieve the itching and reduce the whiteness on my scalp. It will soon be a year since I cut my hair and the response has been more positive than negative. Someone asked me if a guy had broken my heart because women go to the extreme when that happens. I laughed because it was funny and that never crossed my mind. 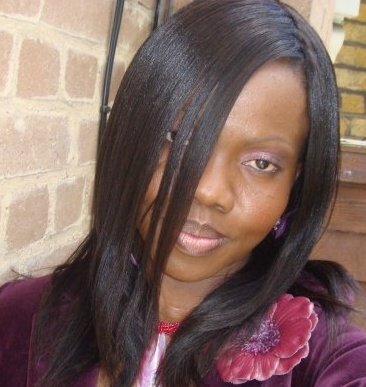 I have also had a few ‘bible bashers’ argue a case of travesty because a woman’s hair is her crown of glory. The one that has left me speechless was the suggestion that I might be developing ‘feminist tendencies.’ What??? Well, it turns out that women with short hair or should that be…there are lesbians, who like their hair short and combined with big earrings, you can spot them from 100 yards away. Yes, I had that thrown at me. Unbelievable right??? However, that’s the world we live in…assumption, the mother of all mess-ups! But allow me to scream, I’m loving it!!!!! These days, each time I go back to the barbers, I find myself pushing the boundaries on how low I want it. This past weekend, I took it all off and all I can say is freedom, freedom and freedom…I feel so liberated, not only can I wash my hair every morning, I can pour water on my head anytime I want to. It is the coolest feeling to have water running from your head to your toes. Though I was nervous about the outcome, it has all worked out just fine and this is the way my hair is going to be for the foreseeable future. I have no plans to put relaxer or extension on this scalp for a very long time. It is going to be me and my natural hair rocking life. In addition to saving money, now I spend less than £20 every two months to cut, wash and treat my scalp at the saloon. When the course of treatment is over, it is back to doing it for myself, D.I.Y baby! 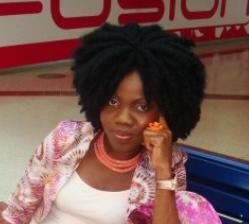 In November 2010, a friend who has also gone natural asked me, how I was feeling about my natural hair? She was finding it a little challenging to accept the her new look. She liked it but there was something missing. I sent her an email along the lines of accepting self…’you need to become one with yourself and love the person, who stares back at you in the mirror.’ I believe we all have a right to do what we want and like with our hair. It stands to reason that we do have the power of choice. I am reminded of a poem I wrote sometime ago, Na My Hair! It is good to have options as to what you do with your hair but for now, natural is the way to go. I told a friend…one thing I look forward to the most is being in bed with my husband – fingers crossed, I do get married – and having him run his hand through my hair without bumping into some thick layers of fake hair sown and held together by cornrow, which leaves us in a freeze frame as he tries to figure out where the action was. This reminds me of my interview with Nicole Moore and her book, Hair Power Skin Revolution. Reading her book and talking to her, reignited my eternal affinity to the kink on my head. It has been a journey of self re-acquaintance with the natural me. I am no crusader for the Republic of Natural Hair but I do believe Moore and the women who contributed their stories have a point when they encourage us to embrace everything that is natural about ourselves as women of African descent. I have heard people talk about empowerment when they take bold steps. I now understand that feeling. I feel powerful with this short hair, I really do. I can’t explain it in a way that will make sense to everyone but allow me, the power/empowerment, I am talking about…has nothing to do with trampling on others. It is about the fact, let’s keep it real – I AM VAIN. Yet, I am okay to walk about with no hair on my head and walk tall. Knowing full well that I am still a woman, I have not and there is no need to forget or forsake my femininity and take on a different persona. At the core of me, Belinda is still alive and not afraid of what she looks like anymore. Simply put, back to the roots! Over the years, I have been through a few cycles of hair styles, using weaves/extensions but today, I celebrate da eternal affinity of da kink, da kink in my hair! This entry was posted on Wednesday, April 27th, 2011 at 10:37 pm	and is filed under Fashion, Life, Musings, Musings, Personal Experiences. You can follow any responses to this entry through the RSS 2.0 feed. You can leave a response, or trackback from your own site. Girl, I feel you. My hair is currently at its shortest and kinkiest for years. In fact since i left boarding school as a teen. But i find it quite liberating that i don’t have to traipse into a hair salon every two weeks or every month for something or the other. Keep rocking your style! It sure looks good on you. Awww, thanks Kiru. I know what you mean, when you say you find it liberating…you buy the weave, then go to the salon, sit and wait for a few mins/hours before you do the hair…it is like the whole affair takes over one’s day…while people should have choices…for me, this is the way to go. I envy you all dear girlfriends going on the natural look (as in low cut). Every 8 weeks I lament what to do with my hair and i end up doing the same style that I have being doing for years which is twist. Boring isn’t it? I am too chicken to have a date with the scissor. So when you take that shower and letting the water run down from Head to Toe, remember there are some girls out there who envy you. It sure looks good on you!!! !